Ever since I was 4 years old, I wanted to be a veterinarian. I was obsessed with cats mostly, but dogs have always been a big part of my life too. To gain experience I volunteered at cat shelters, at cat shows, and at an animal hospital. For over 10 years, I was a veterinary assistant and receptionist at two animal hospitals. I worked closely with many different species and breeds of pets. When I was old enough to drive, the mobility allowed me to pet sit and dog walk for friends and family. 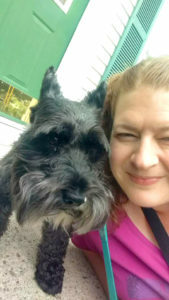 I was a part-time pet sitter all through my veterinary medicine career and throughout my 8 years in veterinary sales that followed. When I was ready for my next leap in life, I worked with my father at Memorial Impressions making pet (and human) memorial photos for a year or so and then was fortunate to be a stay at home mom for a couple years. Now I’m back to pet sitting and dog walking and making it my career. 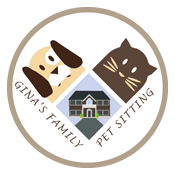 I am certified for pet CPR and general (but species-specific) pet sitting knowledge.